Citadel Park Developments Ltd is pleased to introduce you to Peace River's newest and most exciting residential development. 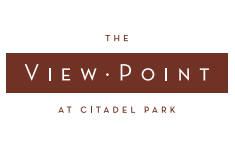 Perched high atop the west bank of the river valley, residents of Citadel Park will enjoy views of downtown, the river, and the surrounding countryside. Just out the front door there are walking trails along the river. Next door is the ski hill. In fact, many of the homes in this area will enjoy "ski-up" access direct to their door. Just up the road, our residents will have quick access to shopping and restaurants. Inside your new community, many homes will have walkout basements, views, and locations on walkways and greenspace. For convenience, there will be a small commercial centre at the entrance gate to pick up those last minutes items on the way home. We think you'll be pleased to call this home. Imagine an alpine village nestled in the hills of the Peace River Valley. Imagine condo living minutes from life's conveniences, coupled with vast outdoor recreational amenities. Step out your door to the surrounding parks. Socialize with friends at the ball park just steps from your home. Enjoy a healthy walk on the Trans Canada Trail just across the street, or an exhilarating day on the slopes, skiing in winter or biking in summer, right at your front door. Click here for more information on this exciting project. © 2019 Citadel Park Developments Ltd. All rights reserved.